Around this time last year, Gone Girl made its premiere at the New York Film Festival in Manhattan. Director David Fincher, author Gillian Flynn and the stars came out to discuss the film, which would go on to rake in a number of Oscar nominations. This year, The Walk, starring Joseph Gordon-Levitt, takes the festival's opening slot. Whether or not it will be one to talk about as the awards season continues along, it will certainly garner lots of buzz. However, more so than in recent memory, there’s a packed slate of interesting works coming for NYFF. The Walk is just a taste. The festival has already begun, though the films in the Main Slate will begin screening this coming weekend. If you have tickets for the event, here are some films you should see. If not, you’ll still be hearing a lot about these 10 flicks, so shelve them on your personal backburner. You’ve probably seen the posters telling you to go see this film in IMAX. Well, you should — assuming you’re not faint of heart. I remember wanting to vomit while watching an Everest documentary in a proper IMAX theater, let alone eduring a film about a man walking between the Twin Towers on a wire. The film, from director Robert Zemeckis, is adapted from the book Man on Wire and features Joseph Gordon-Levitt as French daredevil Philippe Petit, who completed the miraculous feat. While the Venice and Toronto film festivals gave us the frontrunners for the pre-Oscar season, this is one to watch. Brian De Palma is the illustrious name behind some of the most renowned films in cinematic history, including Scarface, Carrie, Carlito’s Way, The Untouchables, and the first Mission: Impossible. 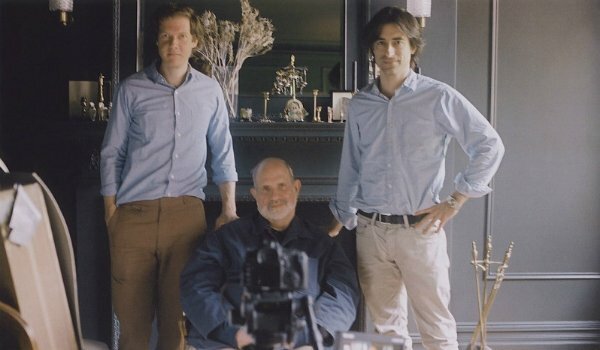 Directors Noah Baumbach (Mistress America, Frances Ha) and Jake Paltrow (Young Ones, The Good Night) paint a portrait of the man and his six-decades-long career. If you’re interested in filmmaking, the movie business, and, of course, De Palma’s work, this is one to watch. As if finding love isn’t hard enough, now there’s a world in the near future where you’re forced to match up. Single people are rounded up and sent to a compound that looks like a seaside resort, but it’s really a prison. If couples aren't formed, the singles are turned into animals. Colin Farrell and Rachel Weisz take the lead roles, and the film earned terrific buzz from Cannes due to its hilarious but darkly absurd story. Might Cate Blanchett have another Oscar on her hands? It’s likely, considering she has two award-winning roles debuting in theaters this year. One is in Truth, and the other is in Carol. The latter debuted at Cannes before hitting up Telluride and Zurich, and will be coming to NYFF. Based on a fiction novel from the early 1950s called The Price of Salt, the film centers on a retal worker (Rooney Mara) who becomes infatuated by a glamorous divorce (Blanchett), and the two become romantically involved. Indie darling Greta Gerwig (Frances Ha, Mistress America) returns to star in Rebecca Miller’s film Maggie’s Plan. Maggie is about to complete her plan to have a baby through a donor father (Travis Fimmell) when she meets and falls in love with John (Ethan Hawke). Though he’s married to a Columbia academic (Julianne Moore), he’s unhappy and falls in for Maggie, as well. Perhaps it’s the combination of talent — which also includes Bill Hader and Maya Rudolph as Maggie’s married-couple friends — or the New York love story or the early reviews from the festival circuit. In any case, we have our eye on Gerwig’s next move. It’s crazy to think that we’re getting three films about Apple co-founder Steve Jobs in a year’s time, but that is the case. Ashton Kutcher had his time playing the title character, and the recent Steve Jobs documentary did its duty. But the one from Danny Boyle is the one to watch. Early reviews out of the pre-NYFF screenings weren’t as glowing as they could have been, but they essentially pegged Michael Fassbender as a likely candidate for Best Actor. In short, you go to this movie for Magneto, and you stay for whatever else comes your way. The last time Steve Spielberg teamed up with Tom Hanks was for The Terminal. But the second to last time was for Catch Me If You Can, which earned two Oscar nominations. And the third to last time was with Saving Private Ryan, which won five. So Bridge of Spies, their fourth director-actor combo, could be viewed as a make or break — Oscar-wise, at least. The film takes place in 1962, during which time American pilot Francis Gary Powers, a captive of the Soviets, was traded back to the U.S. for Soviet agent Rudolph Abel. While the pre-Best Actor race is populated by names like Leonardo DiCaprio, Michael Fassbender, and Eddie Redmayne, the Best Actress category has a potential candidate in Saoirse Ronan. The young actress of The Grand Budapest Hotel takes on the role of an Irish girl who travels to America in search of a better life. Once she finds it, which includes having a young man by her side, she’s called back to Ireland, where she acquires an equally appealing life and is torn between the two. 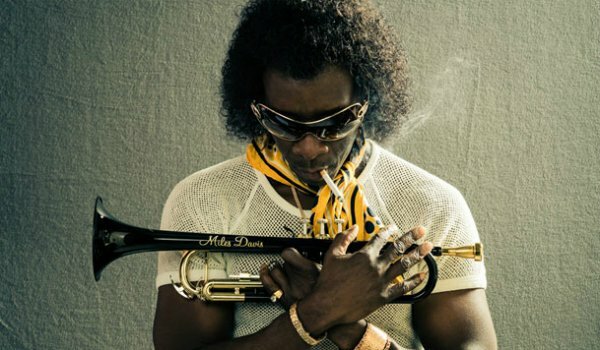 Don Cheadle portrays Miles Davis in this highly anticipated biopic that will close out the NYFF festivities. Davis is not just a world-class jazz trumpeter, he is the standard by which most (there are always those stragglers) jazz trumpeters base their playing. Cheadle, who also directed and co-wrote the film, focuses on the legend in the late ‘70s as he suffers from a number ailments and is haunted by triumphant and painful memories. We’ve gotten our first look at the Marvel actor decked out, but any real footage by way of a trailer has been scarce. Creating a top 10 list is always a difficult task — I don’t care what anybody says. But Son of Saul is difficult to keep off. The Hungarian film from director László Nemes tells of a horrific life of a Sonderkommando, a Jewish person held in a German Nazi death camp who was forced to aid in the disposal of gas chamber victims during the Holocaust. It’s dark stuff. Nevertheless, it’s important. Nemes won the Grand Jury Prize, the Francois Chalais Award, and the FIPRESCI Prize for the film out of Cannes, while sound designer Tamas Zanyi won the Vulcain Prize for the Technical Artist.